Third Coast Percussion is an American percussion ensemble based in Chicago, USA. 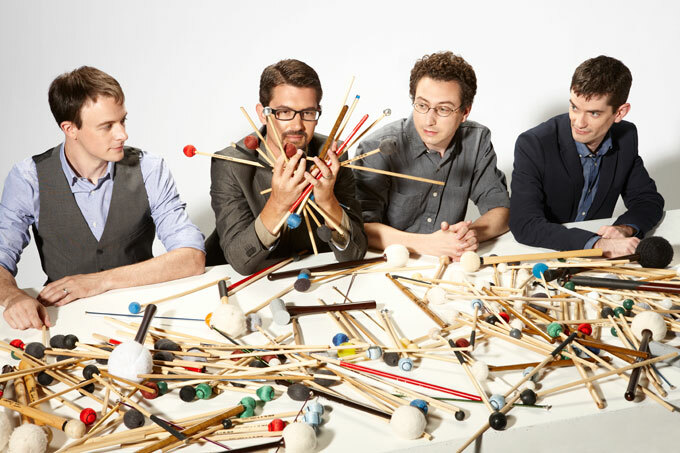 The group, composed of Sean Connors, Robert Dillon, Peter Martin, and David Skidmore, specializes in new music/contemporary classical music and is known for its touring and recording activities that meld the energy of rock music with the precision and nuance of classical chamber works. Third Coast Percussion has become well known for its ground-breaking collaborations across a wide range of disciplines, including concerts and residency projects with engineers at the University of Notre Dame, architects at the Frank Lloyd Wright School of Architecture, astronomers at the Adler Planetarium, and more. The ensemble enhances the performances it offers with new media, including free iPhone and iPad apps that allow audience members to create their own musical performances and take a deeper look at music.